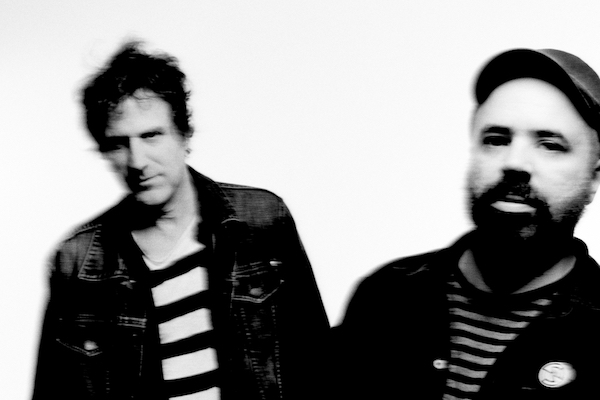 "A punch on the nose from a velvet glove..."
Swervedriver has shared their new single 'The Lonely Crowd Fades In The Air' - tune in now. The noise rock legends are back, working with Rock Action for a full album in the New Year. Said LP - titled 'Future Ruins' - lands on January 25th, and the indications are that it will live up to their stellar back catalogue. New single 'The Lonely Crowd Fades In The Air' is online now, matching their blissful use of melody to that real rock crunch Swervedriver have always harnessed as their own. The band's Adam Franklin says: "With ‘The Lonely Crowd Fades In The Air’ we kept thinking of The Clash although it doesn’t particularly sound anything like them. The lyrics and words wrapped together just sound like a punch on the nose from a velvet glove. The title came from a misheard Supremes lyric and the words derived that." 'Future Ruins' will be released on January 25th. For tickets to the latest Swervedriver shows click HERE.